After being hit by xenophobic abuse and scapegoated for Germany’s unceremonious exit from the World Cup, star player Mesut Özil announced his resignation from national football. 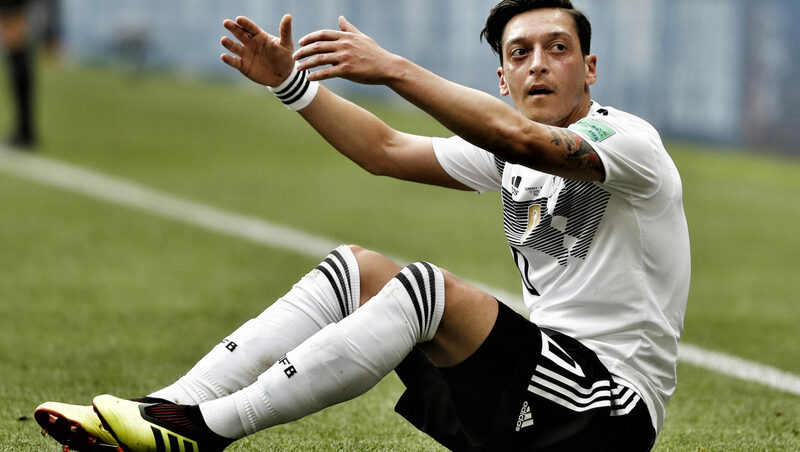 In his statement, Özil raised critical questions of belonging and acceptance of migrants when he poignantly argued that “I am German when we win, but I am an immigrant when we lose”. Özil’s words resonate far beyond his country’s borders. Indeed, they echo loudly in South Africa, where tolerance of migrants based on the ‘contributions’ that they make has a largely unexamined dark side. To counter negative perceptions about migrants, proponents of immigration often highlight the various types of ‘contributions’ that migrants make to society. When one of Özil’s teammates on Germany’s national football team, Jérôme Boateng, fell victim to a racist slur in 2016, another player defended him by saying that “if you want Germany to win, you need neighbours like him”. The thinking that lies behind such statements is that, by promoting how migrants make their societies better places, even xenophobes may become more welcoming of them. Examples used to support this narrative are pervasive. Take note of the Syrian refugee who prepares free meals for homeless Germans, or the brave Malian migrant in France who saved a child dangling from a balcony. There are numerous initiatives raising awareness about migrants’ contributions to their host society, such as the ‘I am an immigrant’ campaign in the UK or the International Organisation for Migration’s global ‘migrants contribute’ campaign. In many countries, keeping track of migrants’ commitments and contributions also shapes criteria of how foreigners are granted entry or can acquire permanent residence and citizenship. What all these approaches share is the notion that immigrants are ‘earning’ their place through making demonstrable, positive contributions to the society they seek to join. On the surface, this all sounds both well-meaning and pragmatic. With legal or moral arguments often unable to convince those opposing immigration, more hands-on reasons seem like the ideal way to go. The issue, however, lies with the precariousness of this kind of “contract” between hosts and migrants. Superficially, it works, but only until it doesn’t. As effective as it may seem while the contributions are forthcoming and discernible, a problem quickly emerges when that ceases to be the case or just appears so. To return to Boateng: if he doesn’t play well, do you still need – or want – him as your neighbour? The recent events surrounding Özil, who, like Boateng, is a German with foreign roots, seems to suggest otherwise. To be sure, Özil’s case is a complex one. His controversial picture-posing with Turkey’s president Recep Erdoğan a month before the World Cup ignited a readily explosive mix of mutual suspicion and ignorance that is clearly palpable in Germany. Özil claimed he was honouring his Turkish heritage by posing with Erdoğan, but many saw in his gesture support for an increasingly autocratic ruler. Things came to a head after Germany crashed out of the World Cup in the first round. After being hit by xenophobic abuse, and scapegoated for Germany’s failure, Özil quit the national team. “I am German when we win, but I am an immigrant when we lose.” He spoke for countless footballers and other athletes with a migration background who feel like they are only welcome as long as they perform. Essentially tapping into the same narrative, NGO workers or government officials trying to rein in xenophobia often “remind” communities of the low prices and credit facilities offered to them by foreign shops. In Özil’s case, past accolades for his high degree of “integration” (and having been voted German footballer of the year five times) have not been able to shield him from the outright rejection he now experiences, including from the German Football Association and significant chunks of the German media. To sum up, as diverse as the narrative of migrants’ contribution is, it steadily reinforces the idea that there is, and needs to be, something “in it” for the access-granting hosts. Although the intentions of those using this narrative for advocacy purposes may be well-meaning, we have to be aware of the danger inherent in the argument’s flip side. Exclusion, both symbolic and/or physical, is what foreigners often face when there is the perception that they are not, or are no longer, holding up their end of the bargain. Apart from how this affects foreigners already in the country, the expectation that migrants have to “add value” also enables a range of highly discriminatory immigration policies. Those advocating for freer and safer human mobility have different registers at their disposal: humanitarian, developmental, religious, economic, legal. While the narratives of benefit that are intended to counter conceptions of “harm” may open doors or bring short-term success, we must be aware of how precarious this makes the concept of “welcome” itself. If one has to make a strategic, cost-benefit type of argument in support of migration, one would perhaps be better off demonstrating how costly, yet ineffective, much of the state’s immigration control measures are. Dr Iriann Freemantle was educated in her native Germany and South Africa. Currently she is an associate researcher with the African Centre for Migration & Society at the University of the Witwatersrand in Johannesburg.